When I first heard about Jiufen while planning my recent trip to Taiwan, I immediately wanted to visit the picturesque mining town on the island’s north coast. After all, I’ve lived within easy reach of Jerome – Northern Arizona’s notorious mining town – for years, and I’ve always loved the mining history. Early in my career as a journalist, I had spent six years covering Jerome’s spirited town government for the local newspaper, and I believed I understood the heart of a mining town. Thinking there would be plenty of parallels, I felt an affinity for this Taiwanese town with the rich gold-mining past. To be honest, though, the two towns turned out to have few similarities, other than their mountainous terrain. Oh – and their singular quirkiness. Whew, with a long flight, the airport express, and bus ride behind me, I had made it to my hotel Hong Kong, and I was ready to hit the ground running. After checking into my hotel in Causeway Bay, I decided to take a quick trip to the rooftop deck to get my bearings. From the vantage point of 33 floors, I had a great view of the city and the bay. 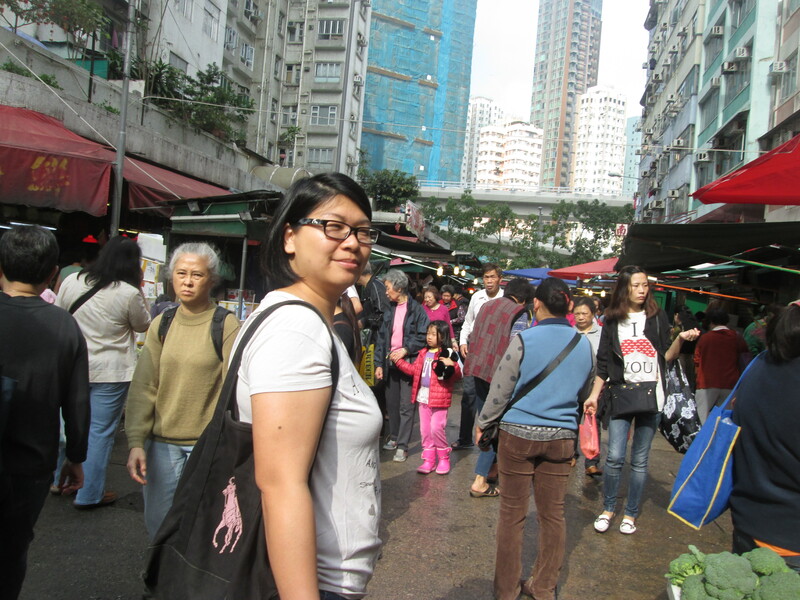 Well, I hadn’t come all the way to Hong Kong for a farmers’ market! But it was so nearby, I thought I had to see what all the excitement was about. As I approached, I realized that it wasn’t a farmers’ market at all, but what the attendant had termed a “flower market.” And that turned out to be the world-class Hong Kong Flower Show – truly an extravaganza of flowers, with intricately arranged flowers depicting everything from underwater scenes to African safaris. It’s true – you really can get just about anything you need on the streets of Taipei. I’m not talking only noodles and dumplings, either (although they’re both plentiful). I’m talking about shoes, purses, electronics, cameras, jewelry, and just about any type of food imaginable. 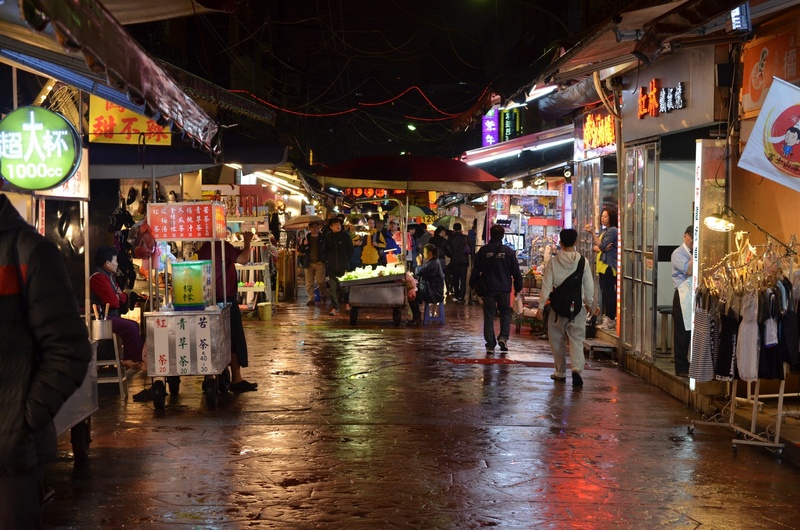 Of course I had heard about the night markets of Taipei, and they ARE everything you would expect – non-stop activity, music, and food. 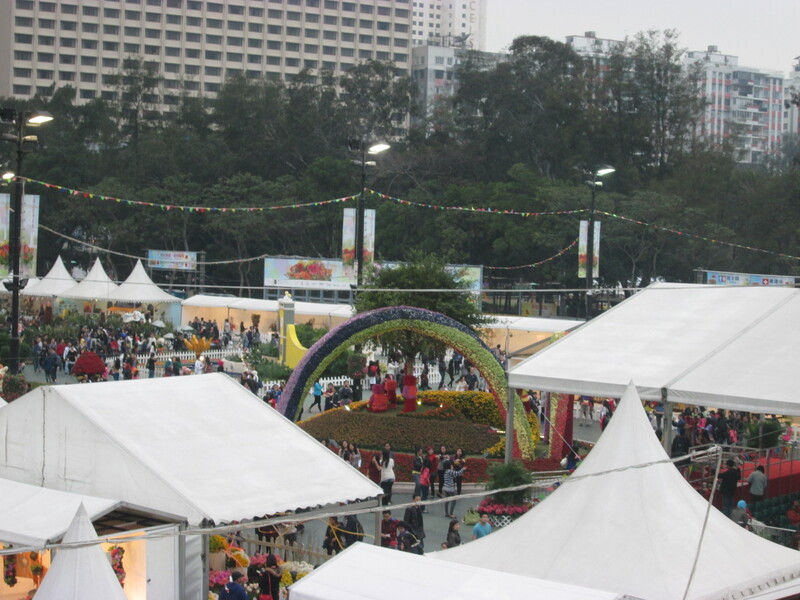 What I didn’t expect, though, are the morning markets, the fish markets, and flower markets. Even in March, when the weather was a little chilly and misty, the streets were packed every day with people cooking, eating, and shopping. If we hadn’t been looking for it, we never would have known it was there: The little Triori bed and breakfast was an unassuming presence on a block of tidy homes. Overlooking a rice field, the row house was marked only with a small sign peeking out from behind a twisted bonsai tree. After several action-packed days in Taipei, we had taken the short train trip to Yilan County along the northwest coast to experience Taiwan’s hot springs culture. Instructions were brief – get off the train at the Jiaoxi Station, and take a 15-minute walk to Qilidan Road, Lane 195. We weren’t too worried. The town was small, and the walk was pleasant. Passing by the signs for dozens of commercial hot-springs resorts, we kept walking and soon came upon Triori. 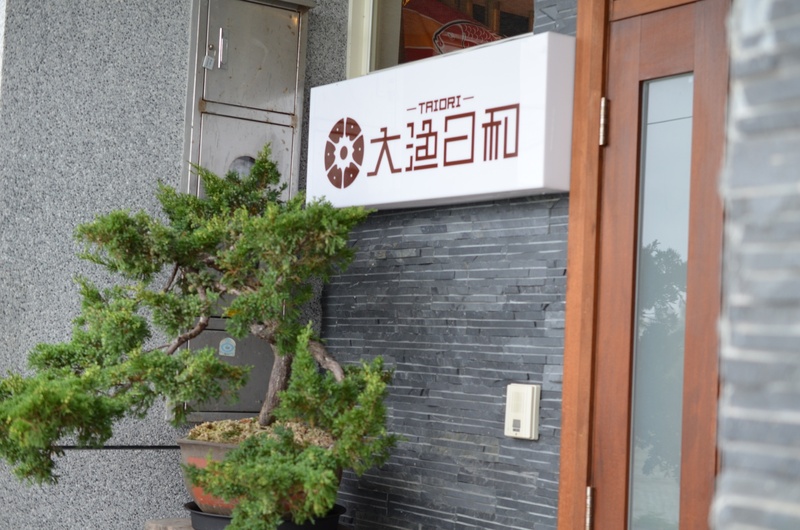 From the start, it was obvious that the proprietors aimed to make our stay exceptional. Although we were a little early for check-in, they suggested that we explore the town on the bikes they provide to guests. 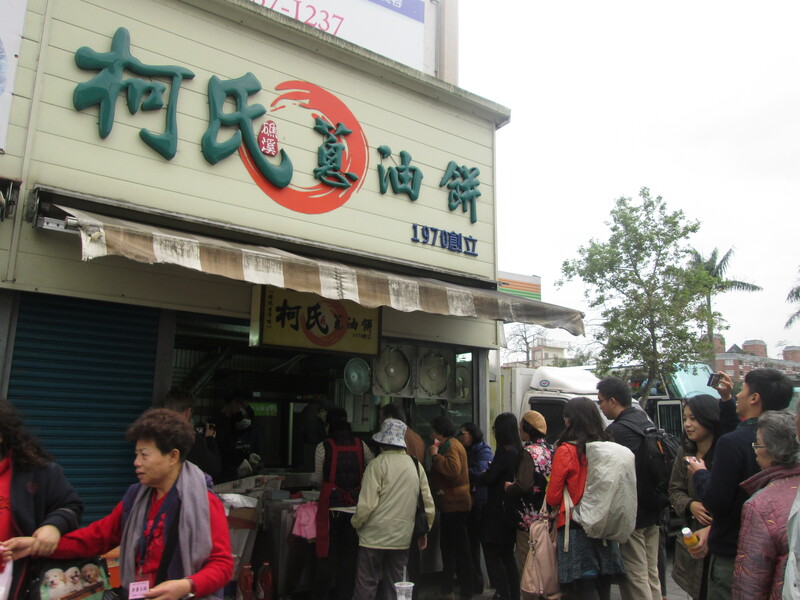 We immediately set off on a quest for Yilan’s famed scallion pancakes. (You have to love a town known for its scallions!). The little pancake booth located off the main drag was doing brisk business – frying up the crispy/doughy discs in huge vats of oil. A long line of customers stretched out to the street. Parking our bikes, we joined the line and were soon seated at one of the nearby picnic tables, washing the savory pancakes down with milk tea. Satisfied, we headed back to Triori to check out the promised in-room hot spring. And wow! Our beautifully and minimally designed room included two levels – one with two sleeping areas and an outside patio overlooking the rice field, and another with a hot tub fed by naturally hot spring water. I always knew there was more to Chinese cooking than a wok and some peanut oil. But a 1,000-year old egg? I wouldn’t have guessed that ingredient in a million years! Trust me – I’ve tried many times to duplicate the spicy/salty/sweet Asian flavors and the quick-cooking techniques. The results have been spotty at best. So, as I was planning my recent trip to Hong Kong, I decided I would go straight to the source – a home cook. Actually, a cooking class seemed a good way to achieve several of my travel goals – learning the culture, interacting with new people, and sampling authentic flavors. A quick online search turned up Home’s Cooking – a class that had excellent onlin reviews. I liked it because it offered half-day classes at reasonable prices, and it promised to take the participants into a relatively off-the-beaten-track neighborhood. It turned out to be one of the high points of my Hong Kong visit. Not only did Joyce, the owner and cooking instructor, take us shopping at an authentic wet market on the streets of Hong Kong, but she then led us back to the high-rise apartment she shares with her husband and daughter.